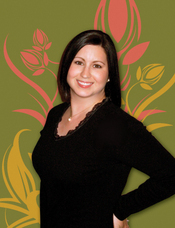 Ashley Brewer is a licensed attorney who doubles as a professional life coach for lawyers in Orlando, Florida. As founder of The Balanced Life Spa, Brewer's goal is to (1) help other lawyers discover and attain their own professional goals and work/life balance, and (2) promote positive change within the legal profession. As Brewer explains, life coaches help lawyers and other professionals become aware of important personal goals, and find ways of achieving them. Quite often, lawyers don't have time to perform a personal goal analysis because of the time demands of their career. Life coaching creates time and space for a lawyer to step back and examine whether they are living the life they really want, and if not, how to effectuate change.